Good morning everyone. I thought I might as well do a post whilst in bed watching programmes I've recorded. Tonight I have a card I did for my younger sister's anniversary last month. Hope you like. Love that House Mouse image and the die cut shape is fabulous. Great Anniversary card! Cute House mouse image and detail Pat. 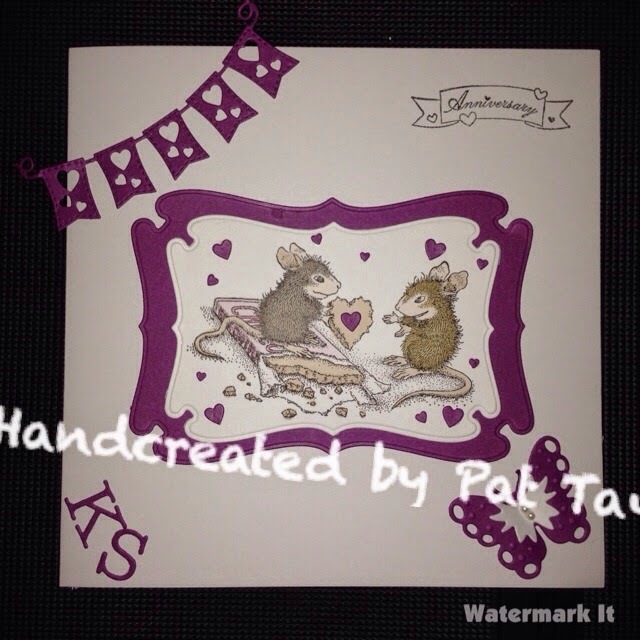 Gorgeous Pat, love the cute mice and bunting.